Father Christmas joined children and their families and the Family Nurse Partnership team in St Helens recently to celebrate Christmas with an activity packed party. 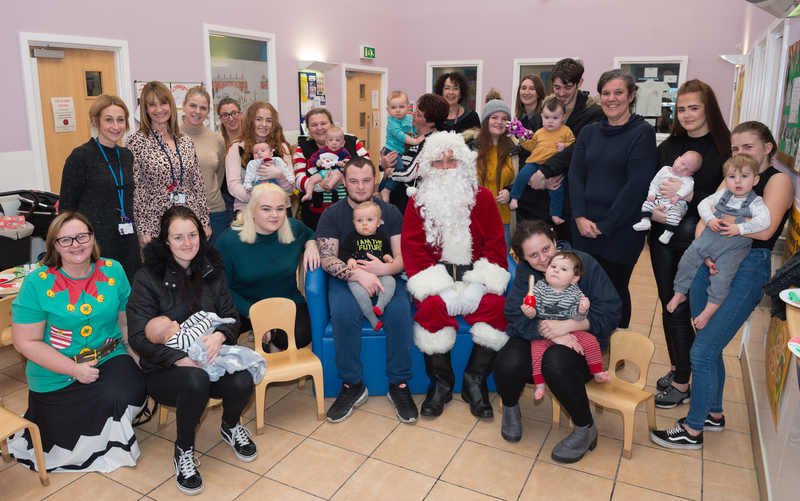 Hosted by the Family Nurse Partnership team at North West Boroughs Healthcare NHS Foundation Trust, the event was held at Parr Children’s Centre and included lots of Christmas themed activities for the children and families to enjoy. The children were able to get messy making Christmas cards, reindeer food and Christmas decorations. There was even an opportunity for the families to visit Father Christmas in his grotto and receive a gift. The Family Nurse Partnership is a maternal and early years public health programme. Using a psycho-educational approach it provides on-going, intensive support to young, first time mothers and their babies. Following the party the Family Nurse Partnership team where joined by other professionals to share the success stories and statistics of 2018. The Family Nurse Partnership would like to thank all the families involved in the programme over the last year for their dedication and hard work with the nurses.